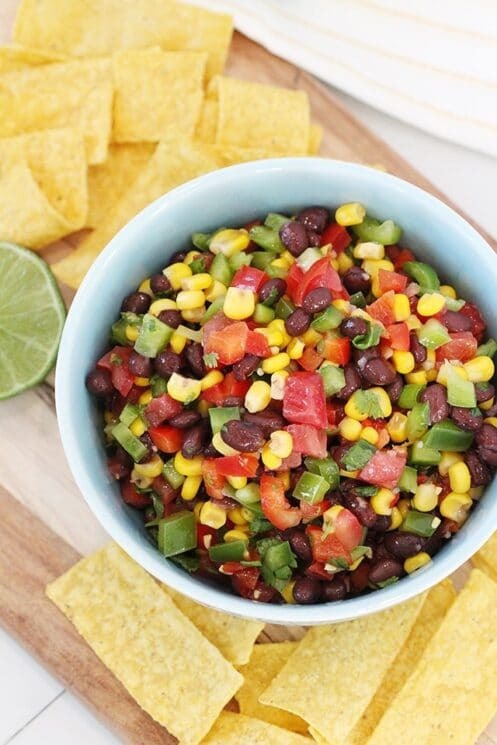 Texas Caviar: 6 Veggies in Every Bite! 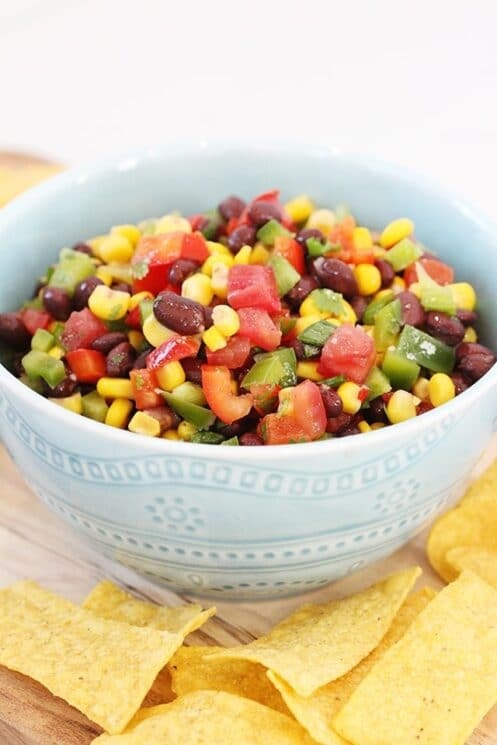 This fresh and flavorful Texas Caviar is delicious at parties, after-school snacks and even as a salad topper! With 6 veggies in every bite, it’s a winner for parents and for kids! 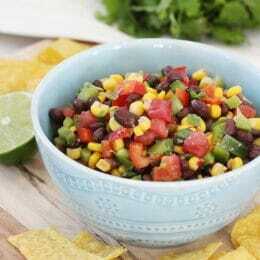 Kids love to scoop up fresh Texas Caviar with blue corn chips, or homemade scoops, as a hearty after-school snack. 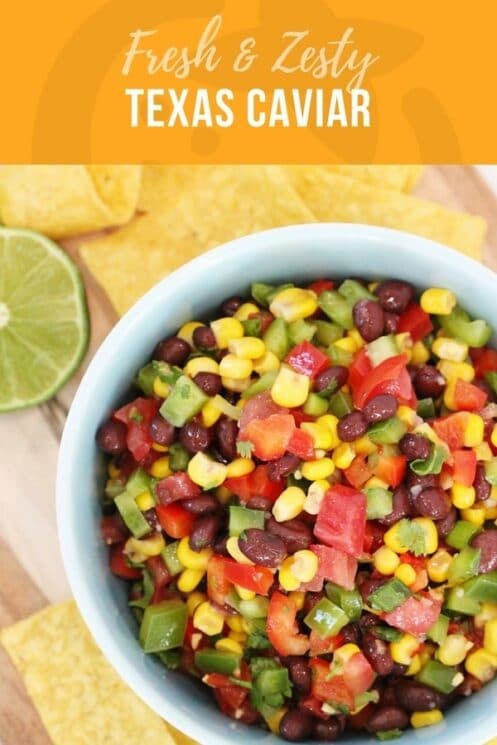 This variation on the Lone Star State favorite involves a diverse variety of diced vegetables that come together to create a crunchy, sweet medley. The recipe is foolproof, but you’ll want to dice your veggies as uniformly as possible in order to create an easy-to-eat “caviar.” Start by washing all of your fresh vegetables. Next prepare a large cutting board and grab your sharpest serrated knife. The serrated knife will help you obtain nice straight edges and petite square shapes when you dice the peppers and tomatoes. Chopping your veggies small is perfect for kids. The fresh squeezed lime juice is a key component of the delicious flavor. Fresh lime adds a citrusy zest that makes this dip so irresistible! Why not expand your kiddo’s veggie palette, and go beyond raw carrots and steamed green beans. 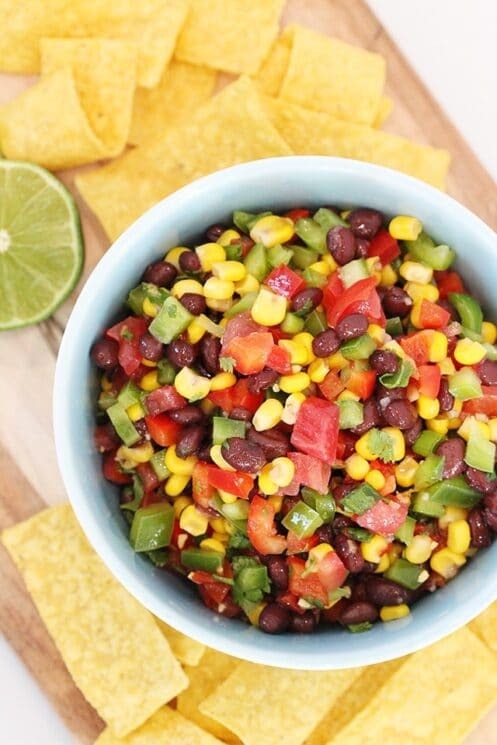 Texas Caviar is a perfect way to try several new vegetables at one time! Scoop it with blue corn chips, use it to top a burger, incorporate it into a salad, or add it to a burrito. We love Texas Caviar because it is so versatile! Drain and rinse black beans and corn. Chop tomatoes, green onion, and bell peppers. Add to a medium bowl and stir to combine. Add the Italian dressing, the juice from the lime, and chopped cilantro; toss to coat. 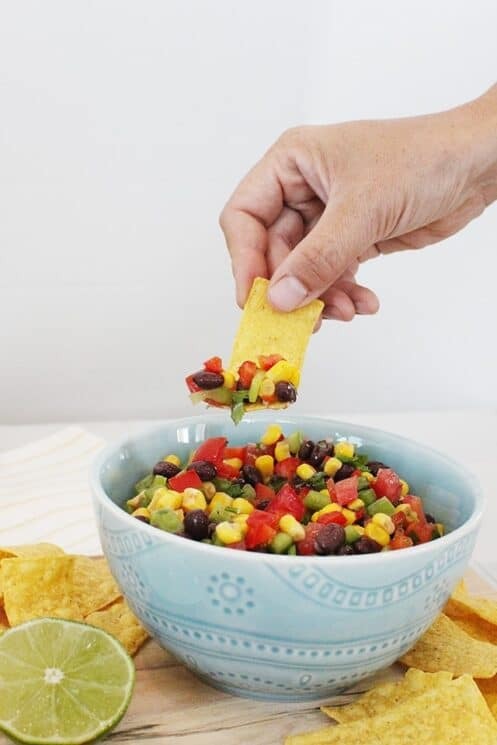 Serve immediately with tortilla chips, or chill before serving. Yum! My husband and I love Texas Caviar, the kids not so much. However, I used some of the Texas Caviar as toppings for the Black Bean Pizzas and the kids loved it. I prefer the similar salsa with Italian dressing over this one. I add a can of black eyed peas drained. Great source of potassium. I use it as a salad topper. Delicious! Keeps in fridge very well.